When Anton Yelchin died suddenly at the age of 27 in a freak car accident outside his home one month ago today, fans of the actor remembered his roles in Huff, Terminator: Salvation, Like Crazy, Alpha Dog and Green Room, as well as his part as Pavel Chekov in Star Trek and Star Trek: Into Darkness. 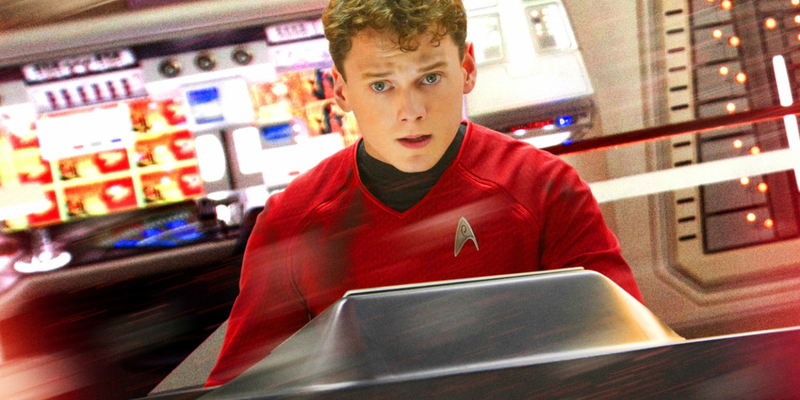 Those who appreciate the work of the young actor will get to see him in five different posthumous releases, the first of which, of course, is Star Trek Beyond, which will feature Yelchin playing Chekhov for the final time. Yelchin’s death has led to speculation about what might happen to the Chekhov character in future Star Trek movies, which has only intensified with the official announcement this week of a fourth film in the current Star Trek run. Will the role be recast? Will Chekhov die on or off screen? Will there be a Furious 7-style sendoff that pays tribute to the actor without the character actually dying? Or will Chekhov simply be dropped from the cast quietly? Now, we have some answers, from J.J. Abrams himself. Yelchin, who had completed all of his work on Star Trek Beyond prior to his passing, reportedly has a larger role in the new film than he did in the previous two movies. Star Trek Beyond is dedicated to Yelchin as well as to Trek legend Leonard Nimoy, who also passed away since Star Trek: Into Darkness. Abrams’ answer makes sense. Obviously, Star Trek 4 is in the extremely early stages and the creative team likely hasn’t made any final decision as to the plot, much less how they’re going to handle the delicate matter of the fate of a beloved character who’s been part of Trek canon for nearly 50 years. And even if they had made a decision, you can’t blame Abrams for not wanting to give away plot twists years in advance. This question also illustrates that Abrams and the other present custodians of Star Trek find themselves in a unique and somewhat unenviable position. They’re in charge of a series of films in which all of the major characters were previously played by other people for close to five decades, and some of those people - including the original Chekhov, Walter Koenig - are still alive and have a certain ownership of their characters. We recently saw this with George Takei’s public disapproval of the decision to establish Sulu as gay, in which it’s safe to say both sides had a valid point. Star Trek Beyond opens in U.S. theaters July 22nd, 2016. Screen Rant will keep you updated on all information related to Star Trek 4.